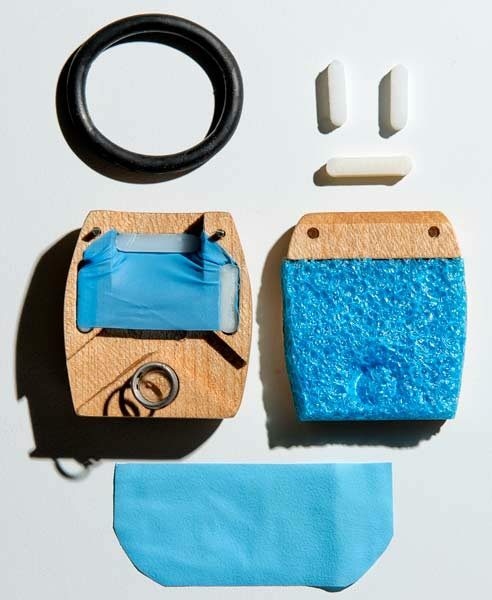 Like many people that receive a new product claiming to work, I was skeptical. I received my new prototype ‘Buck Reel’ from Reel Game Calls owner Drew Rouse last October while hunting together in the bluff country of southwestern Wisconsin. 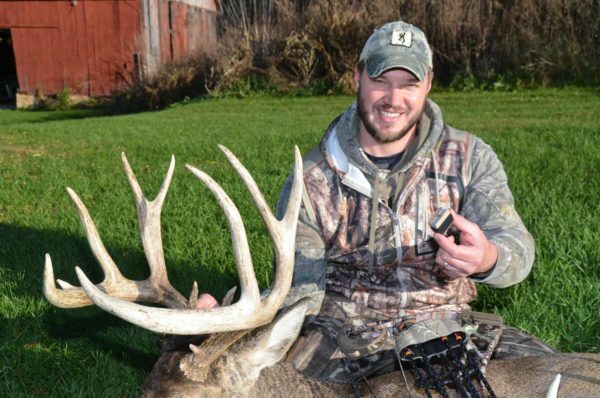 I wasn’t convinced this new Buck Reel could make a difference in my hunting success. See I had reason to be skeptical. At this point I had utilized a typical ‘can’ doe bleat call for the better part of the last decade. Over the course of hundreds of hunts, and endless empty encounters after flipping the can over again and again — I had little faith a different doe bleat would provide success. Until it did. It didn’t take me long to fall in love with this new revolutionary deer call. Right away I found the call super easy to use. I was able to manipulate both the volume and tone of the Buck Reel simply by increasing or decreasing my air flow or by squeezing down lightly on the call with one hand. Unlike the troubling inconsistency with trying to keep a can call bleat short and concise, I was easily able to make short bleats emulating a true doe estrus bleat. Needless to say I quickly became excited to take this call out into the Wisconsin hardwoods. shot. I had just ‘reeled’ in the biggest buck I had ever laid eyes on in the wild. It was pure jubilation later that day when I recovered the animal less than sixty yards from where I had made the shot. I’ve already mentioned this call is super easy to operate. Besides being able to manipulate tone and duration of the call – I believe their are two other overlooked factors that make this call stand above all other doe bleats. I cannot underestimate the importance of being able to control the volume of a doe bleat. A can call provides one finite volume. I can make a Buck Reel bleat loud if I need to grab the attention of a distant buck – however, even more important to me is I can feel extremely confident in finessing a soft, subtle bleat if that buck is in close proximity. This can mean the difference in a buck skirting me at 50-60 yards or closing the distance to within bow range. this season too. Get the call that can make a difference in your hunting season! Bill all the doe bleats I’ve ever used are too low pitched and hard to make subtle bleats with consistency. 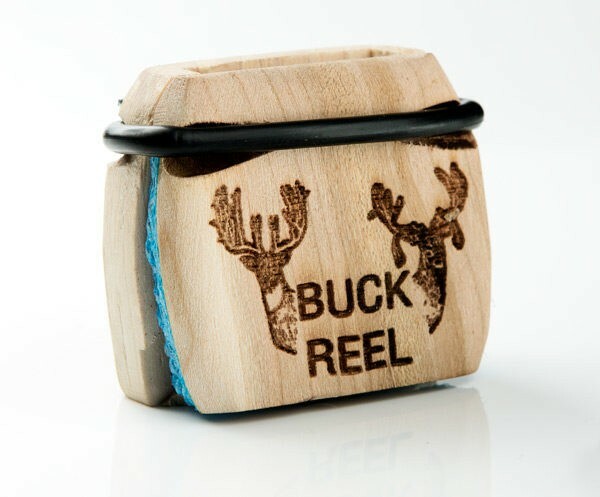 I think you’ll love the easy to use repeatability and dependability of the Buck Reel. I have different can over the years and never called in a deer, depressing but I keep trying. The can is not very lifelike it makes the same sound all the time and deer vocalize like elk they vary pitch tone volume and duration. Short estrous bleats with a can is like running a comedy show in the tree. John on our homepage there is a link to our youtube that has a couple of videos on it. I am curious about this call I have had success with doe bleats but not in a while. The original can worked for me but now I have a custom grunt call that does a decent bleat. Would like to hear how it sounds. Also didn’t see it in your store. When can I get one to try? Mike the website was down for maintenance but it is back up now. Thanks for your patience. I’d like to buy a buck real but it says not in stock. How soon till you have more of the buck reel????? We just put it back in stock. We have some limited availability of the new double reed version. New educational section! Learn about Elk Calling!